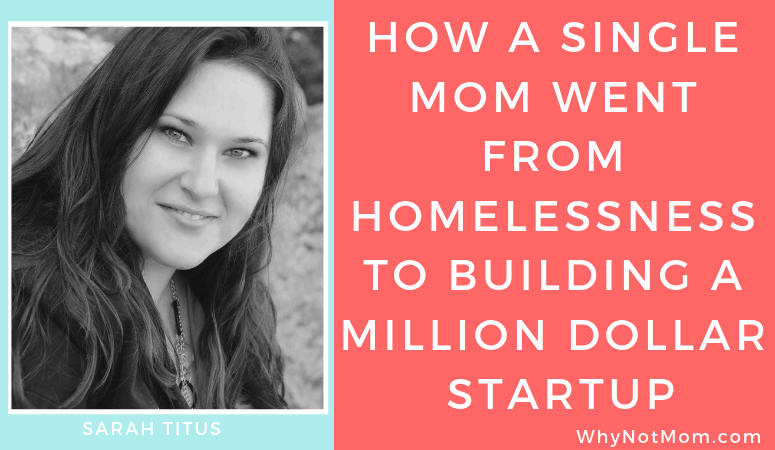 As a single work at home mom, it was only just a few short years ago when Sarah Titus was homeless. Abandoned by an abusive and unfaithful husband of 14 years, she found herself living in a shelter with her children. 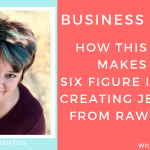 Driven by her incredible faith in God and her passion to help other women; today she is bringing in a seven-figure revenue and living a debt free life! She has achieved a level of success most of us can only dream of and her greatest desire is to help others find their way to a blessed life as well. I was introduced to Sarah through a blogging course that I was a member of. I felt drawn to click within my inbox to read a recent newsletter of hers (something I tend to avoid due to time constraints) and as I read her words below, I was amazed at how much they truly resonated within me. Never have I read someone else’s writing that was so incredibly close to my own personal mission and business endeavor. Many years ago after the housing economy collapsed and my husband was laid off as a diesel mechanic more times than I care to recall, I started searching for a way to bring in an additional income without having to put my kids in daycare we couldn’t afford. 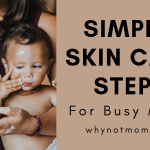 I was frustrated by so many scams geared towards stay at home moms, but in the process, I also discovered MANY truly talented moms. Many of which had started their own businesses right from their kitchen tables! That’s where Why Not Mom was born from; to help other moms find a way to build their business AND provide for their families. It’s truly been a labor of love and up until recently I was beginning to doubt if it was even a real possibility. I am so grateful to women like Sarah Titus who inspire and lead with a passionate and generous heart to guide others to achieve and pursue their dreams! The following is an interview with her that I hope you’ll find as inspiring as I did! 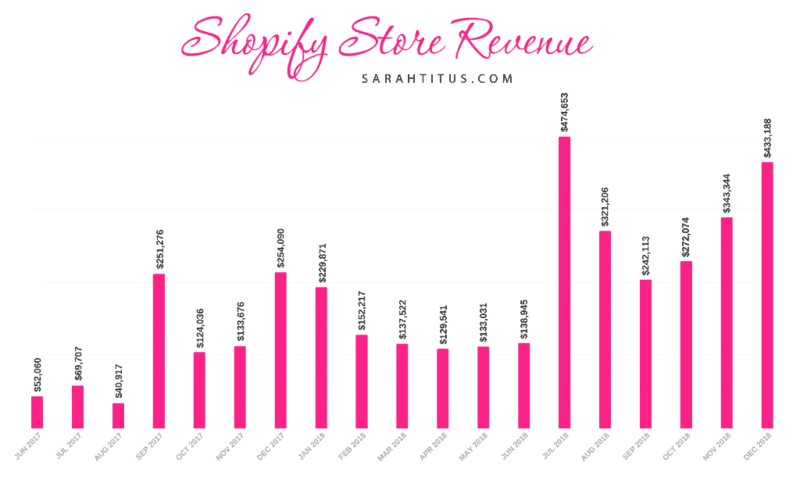 How Sarah Titus made over THREE MILLION DOLLARS selling printables on Shopify! Sarah Titus teaches how YOU too can create gorgeous, professional printables for an exceptional profit! You have such an inspiring story coming from homelessness to an incredibly successful work at home business. What were some of your biggest hurdles and obstacles you ran into in the beginning and how did you overcome them? The more I’d make, the more they’d take away in food stamps and I wanted to be honest and report it as income. Then they tried to tell me I couldn’t have food stamps without getting on cash aid. Oh, by the way, to QUALIFY for cash aid, you have to come to “training” 40 hours a week! I was so mad. I don’t want to WORK outside the home, leave my babies with strangers, and IF I’m going to work outside the home, like, I have skills, I can get a job at the snap of my finger. I’m not going to be “working” for 40 hours a week for $500/month, you kidding me?! BUT…I didn’t have enough money to make it without the food stamps. I was really in a horrible place. And they were literally making it IMPOSSIBLE for me to get off. I FELT like, they just wanted to OWN me! Well, if you know me, ain’t NO ONE gonna own me but Christ! So, that month, after only being on them for a couple of months, I got completely off and prayed like CRAZY. Lord, PLEASE help me survive here! I started selling as much as I could. And finally, I was at a place of being self-sufficient. That was my first, and hardest hurdle AND accomplishment. I got off the system. I did it. I’m self-sufficient! From there, I made $700/month income. Then, a year later, started making $18k/year for a few years. Then I started blogging, making $10k/month my first year, $23k/month my second year, and it snowballed from there to now. I make more than $3 million dollars a year. It wasn’t just a quick thing. It took years of building, years of trying, years of hustling. It wasn’t overnight, BUT…it WAS absolutely, 100% worth it. I don’t worry about money anymore. I feel like, if *I* can do this, ME…a SINGLE MOM with no family, no outside help, YOU, having a husband, having a family, can certainly accomplish more than me! What was your first ‘aha’ moment that made you realize you had a marketable product? I started out with a free Household Binder (get your free copy here!) Quickly I saw my audience was RAVING about it. I, myself, became obsessed with printables right then and there. I asked my audience if they wanted more. They did, so I made two more free binders. Seeing it was all going so well, I decided to try to sell them. I came out with my first paid binder, my Blogging Binder. It sold…LIKE…HOTCAKES! My first month on Shopify selling printables, I made $52,060! I knew right then and there I was FOR SURE onto something! Then, I just kept releasing FREE binders to my audience every 3 weeks. My audience loved them, left reviews, and I was able to SELL those binders to the outside world (Google traffic, Facebook traffic, etc.) Not to my audience though. They get the free stuff first and still do. As for my inspiration, I have a full course, How to Create Printables and it goes into my whole process of inspiration in nearly every video and has a whole section on how to be inspired. I hear from women ALL. THE. TIME who take the course that they absolutely fall in LOVE with creating printables and it opens up a whole new world to them. It’s very exciting and FUN! You shouldn’t just have a “job” you hate. It should be something you’re head over heels in love with, something you wake up every day eager to get to. For me, and many others, that’s creating printables. Would you do anything differently in the beginning of your blog/shop if you knew than what you knew now? What would you tell Sarah Titus before she started? I wouldn’t do anything differently. Everything I did and how fast and far I’ve come, it’s all been a necessary process. The biggest sacrifice I had to make was closing a lot of loose ends. Basically, for a year and a half, I went into “hermit” mode. I wasn’t connecting with other bloggers, following them, etc. I was building my empire; had my head down, nose on my own paper, concentrating. I got completely off Facebook, closed my account and it was tough. At the time, I had over 100k followers on my Facebook page. I walked away for a few years. Now, I’m back on Facebook, but I needed that time with no distractions. It wasn’t easy, especially at first, but after about a month, it was awesome, and I embraced it and got to work. ?? How did you hold your head up after all the naysayers such as family friends, church members told you to ‘get a real job’? What advice do you have for parents who have a great idea for a product or service and are not sure where to begin? I held my head up b/c they are PEOPLE and GOD convicted me HE wanted me to start a blog. God trumps people. Period! If He convicted me to do something, it is for my best and it WILL succeed, no matter if it seems impossible. Doesn’t matter. He will always win and He’s always right. For moms who aren’t sure where to begin, my best advice is to just jump in head first. You are NOT NOT NOT going to know everything you need to know to start. You can’t have everything all neat and tidy and squared away. It’s learning as you go!!!! What works, what doesn’t. But it’s about putting yourself out there. Even if it doesn’t work out, you’ll be one step closer to what WILL work out. I remember starting in network marketing a year and a half before blogging. I was trying EVERYTHING to make it work, and I was making good money, a couple thousand a month, but it wasn’t that success I knew I was CAPABLE of. In the company, my direct upline, did a terrible, terrible thing. She lied to me and completely took advantage of me for her own benefit. She knew I was poor at the time, and yet, took advantage of me and started a program to help other people like homeless and stuff. I mean, hypocritical at it’s WORST. She took away a LOT of residual income from me (in secret), a woman trying to get past homelessness and make a life for herself, to supposedly (publicly) help others in a similar situation. At that point, I was like, I’m done. This is not working. I’m done. I started blogging. Now, she makes chump change compared to what I make. I don’t say that in a negative way, but that God has our backs. If someone hurts us, He will make us fly. And everything I DID IN network marketing HAS helped me in blogging. So, if you start something and come to find out, it doesn’t work, it’ll help you in your future endeavors. I’m a MUCH better blogger BECAUSE I know networking. I’ve been trained, thoroughly. Where do you hope to see your business 10 years from now? I never do goals 10 years in advance. The most you ever wanna do is 3-5 years max. So for me, I do them by year. This year, my goals/dreams are to create all the courses on Million Dollar Shop and get them all set up. 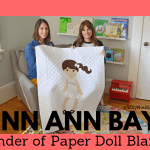 It’s a BOATLOAD of work, truly, but…I’m taking just ONE step at a time, just like I did my printables empire and applying that same work ethic to my courses empire. So far, I’ve been selling courses for only three months and have already made $304k! It’s been incredible and I’m loving every minute of it! Next year is to start a Facebook group(s) for my course(s), set up automation (funnels, Facebook ads) to both Shopify and my courses, because I don’t have any funnels on it and I’ve not paid for any advertising and I want to learn that and feel like when I do, I’ll get even MORE sales. Does anyone in your family help with running your business or do you have any employees/assistants? I don’t have any family, other than my kids. It’s just me. However, I do have a couple assistants at the moment. One runs Pinterest for me and another girl helps with a lot of little tasks and helps with email, etc. When I’m not working on courses, I work 9-10 hours a week and my assistants work 7-10 hours a week usually. Right now, I’m creating courses to teach about Shopify and how to create an empire and printables, so I am working more hours. But in about a year, when things are set up, I’ll go back to the 9-10 hours a week. With that said, my kids are very much involved in my business. It’s a family thing and I try to involve them in it as much as possible. My daughter wants to be a vlogger when she grows up to pay her bills. How cool is that?! List examples of your streams of income and which has been the most profitable for you. If there was one thing that you want to be remembered for what would it be? What legacy do you wish to leave for your children and the world? I want to be remembered as a person who was the most generous and loving person they’ve ever met. Like that old grandma who just squishes your face and hugs you tight and never lets you go and just always loves you to pieces and treats you like a treasure. You like it because you NEED love and she treats you like you’re the most important person in the world to her. Something tells me you won’t have any problems making that come true! Thank you for your inspiring and powerful words Sarah! Do YOU have any questions you’d like to ask Sarah Titus? What did you find most inspiring or helpful about this intervew? This post may contain affiliate links. When clicked if you make a purchase it will not increase your costs but we sometimes make a small commission to help keep our costs down. We appreciate your support! Wow! What an inspiring story! I’m days away from starting my blog…which has been my dream for years. I’m SO happy and I haven’t made a penny yet. Thank you so much for sharing your world with us! God bless! We agree Sarah is pretty amazing isn’t she? Thanks for stopping by and best wishes on your blogging journey!